I am a first generation NZer born in Castor Bay, Auckland. My father, Dieter Dyck, was born in Gdansk, Germany (pre- WW II), which is present-day Poland. His family fled to the South Germany during the War and it was in 1957 at the age of 21 he sailed to NZ. My mother, Senikau Dyck (nee Wolfgramm) was born in Utungake, Vava’u, Tonga. In 1950, at the age of 9, her family immigrated to NZ. 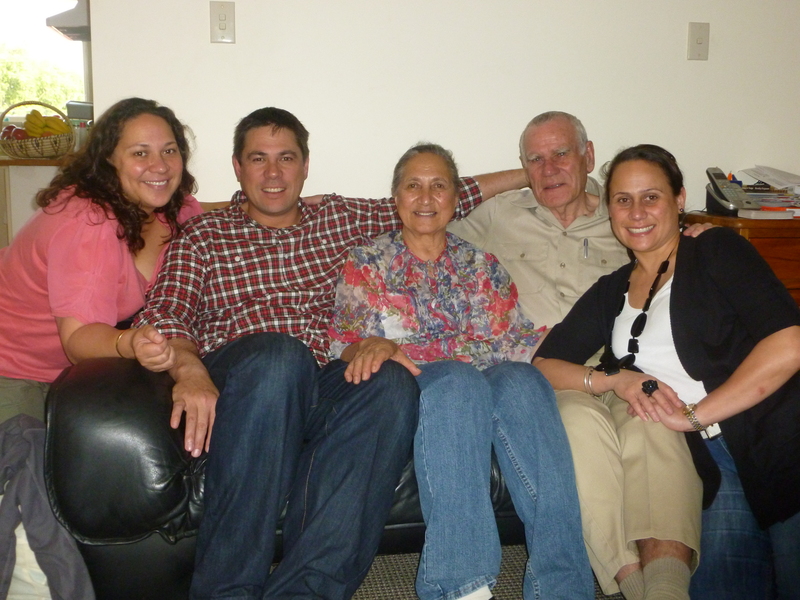 Below is my immediate family, my younger sister Luana, my older brother Dietmar, my mother Senikau, my father Dieter and myself. My artistic career has now spanned some 16 years since my first solo exhibition at The Lane Gallery in June 1995. Since graduating with from Elam at the end of 1995 I have worked in various places, from managing a picture framing shop to owning my own florist shop. At certain points I have managed to engage full time in my art practise however for the last decade this has been somewhat affected with the advent of raising my family. I am blessed to have an incredibly supportive husband, Lyle, and our 3 children bring us much joy, our son Ercan, 10, and daughters Milania, 9 and Charlize, 7.